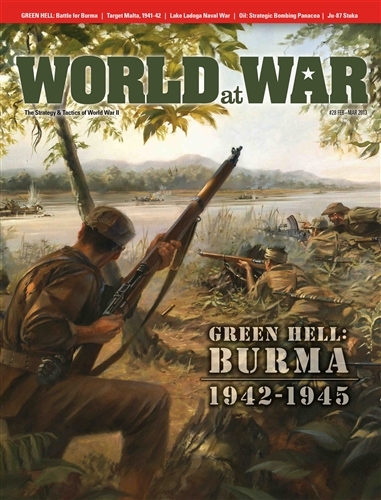 Green Hell uses the popular Fire & Movement system (DG Folio Series) to examine two different situations in Burma during World War II: Operation Thursday and The Battle of the Admin Box. Operation Thursday simulates the British gliderborne assault into Burma in March 1944, after Gen. Slim ordered Gen. Wingate to land behind the Japanese lines to support the Allied offensive in Burma, particularly Gen. Stilwell’s advance to the strategic town of Myitkyina. 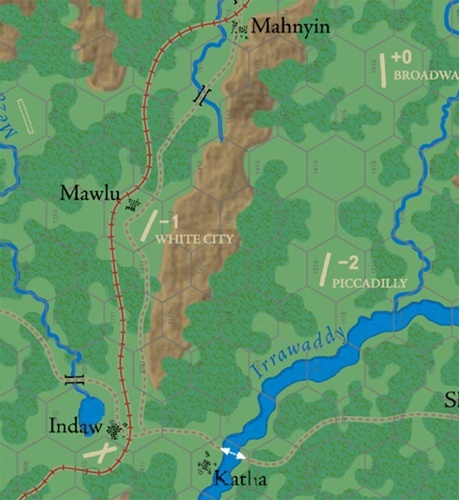 The Battle of the Admin Box is a simulation of the Japanese infiltration that surrounded the Indian 7th Infantry Division, and was also moving to trap the Indian 5th Infantry Division in order to annihilate both before the arrival of the Indian 26th and British 36th Divisions from the north. Holding up the entire Japanese plan was the headquarters area of the Indian 7th Division, which formed a defensive perimeter known as the “Admin Box” in the village of Sinzweya.